We've had some great new advertisers at Bondville recently, and the latest to join the fold is storage expert Fiona Kate. 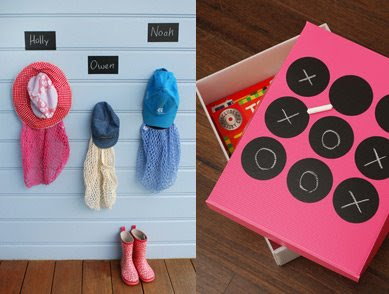 Have you seen the perfectly proportioned boxes for keeping kids tidy? Fiona is up there with Kikki K. in the quest to help us achieve more order in our lives, and still remain chic. Fiona Kate is most famous for the versatile Box Seat (a table, a seat and storage all in one) in watermelon pink, classic white sky blue and a variety of sizes and shapes. 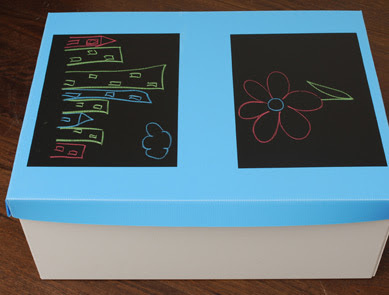 All storage components are sturdy and have a classic look to stay with your child from baby through to teenage years. Fiona Kate storage looks super cool and is constructed to work hard for you - perfect for stacking, carrying, sitting on, climbing on, wiping down, and holding treasured goods. Fiona Kate also has a fantastic range of vinyl lettering, removable chalk dots and chalk art panels for labeling those boxes, and for hip wall decoration (for adults and kids!). You can find Fiona Kate at the online store as well as at stockists around Australia and Hong Kong. Steph, I've been a blog loser for the past few weeks (Wolfie had pneumonia and I was buried with work) so I hadn't really "made the rounds" on my fave blogs in a month or so....its so fun to see all the lovely things you've posted. You have such a great eye! !